While the key to unprecedented business growth is sometimes hidden, you can find it if you know where to look: consumer data. Once a leader of the $6BN sports hydration category, in 2006 Gatorade faced double-digit volume decline. The brand needed a growth strategy that would allow them to reignite consumers’ relationship with the brand, reach new consumers and ultimately drive revenue. The brand transitioned its marketplace position away from its former status as a “science of hydration” brand toward a lifestyle brand. While this shift was intentional, it turned off key audience groups like competitive athletes and teen athletes – who no longer perceived the brand to offer significant performance benefits beyond thirst quench. Direct competitors like Powerade and Powerade Zero, and other low calorie “lifestyle waters”, such as Vitamin Water and SoBe life water were encroaching the market share and relevance within targeted segments of consumers. The former insight led to the realization that no brand satisfied the whole spectrum of athletes’ nutritional needs. Athletes sought a product that provided benefits from hydration to energy to recovery – and Gatorade presented highly stretchable brand equity into the adjacent sports nutrition category, pre-, during, post-acute sports events and surrounding more foundational athletic occasions. The master brand, Gatorade, needed to be re-positioned back to its foundation in hydration. 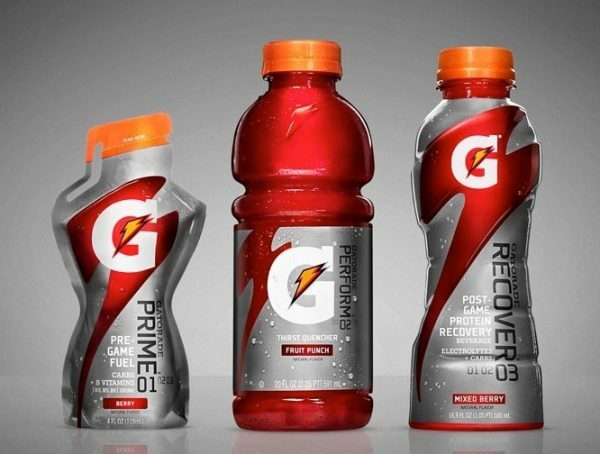 To reclaim its leadership of the hydration space, it needed to move beyond “thirst quenching” to “performance hydration.” As part of its bid to reclaim leadership in hydration among competitive athletes, Gatorade launched G-Series – Prime, Perform, and Recover. This transformed the brand from a generic all-athletic-occasion drink that came in different flavors to a packaged solution covering specific athletic occasions with tailored nutrition ingredients, thus opening the doors to the sports fuel market. We developed a brand portfolio and architecture to align with other target athlete segments; with clear value propositions for each sub-brand. This lead to the launch of G Series Pro – an intense sports fuel targeting endurance athletes. In 2010, it also launched G Series Fit, targeting low-calorie consumption occasions for passionate exercisers. Due to this strategy, the double-digit declines the brand had been experiencing were reversed to 15 percent growth in just one year. Since its inception, Gatorade has seen over $2 billion dollars in franchise revenue increases and is now the fastest growing brand in the PepsiCo portfolio (and its only double-digit growth brand for over five years). The market doesn’t lie, and analysts should be bold. When we first introduced the idea for T-mobile’s Uncarrier strategy; it was met with some apprehension, just as when we first talked about nutrition to Gatorade. A bold strategy anchored in solid customer insights is just what an organization needs to ignite its next wave of growth and success. It takes guts to point out (and stick to) a category pain point, but it’s these pain points that lead to break-through growth. Analysts need to understand what’s most important to the business by getting into the minds of the executive team – what keeps them up at night? How do they form their hypotheses? How can we make this data meaningful to them? Fishing outside of this context is futile and irrelevant. Be an anonymous, unbiased power listener who is tuned into the trends of the market. The challenge nowadays is too much data that still requires human processing and integration. Identifying high growth potential insights requires analyst to stay on trend, have their ears to the ground, tune in to category disruptors, movers and shakers, and makes asking “so what” a regular occurance. This type of insight will not come from someone with a siloed market research mindset.